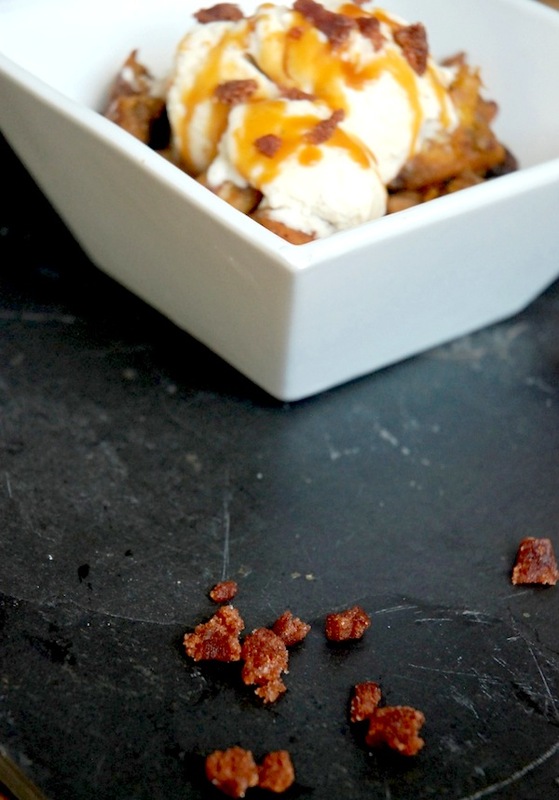 And as usual, Pinterest delivered…Pumpkin Bread Pudding prepped in a slow cooker. I’ll admit i don’t do a ton of cooking that way, but it sure does have its place. Not only did the crockpot do the work for me, but our house top to bottom was filled with the most delicious aroma in the meantime. Winner winner chicken dinner! 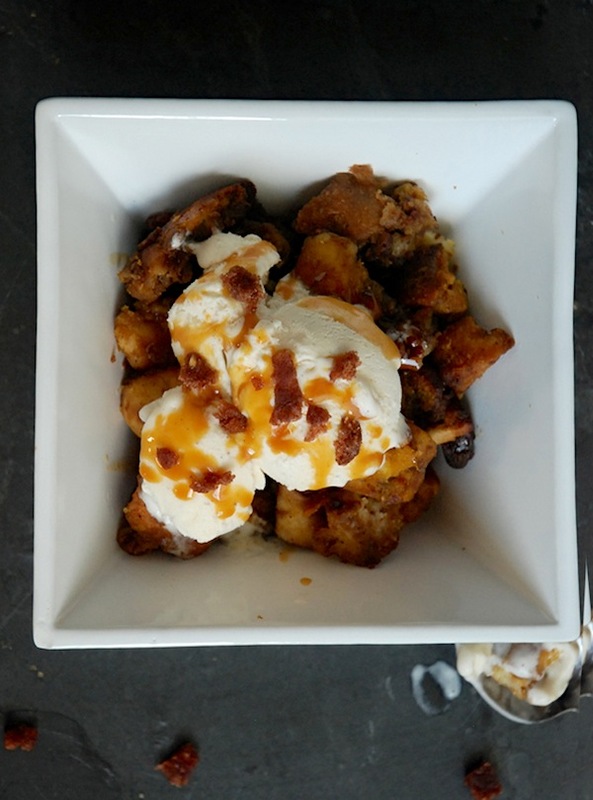 Thanks to the Gunny Sack for sharing this recipe! 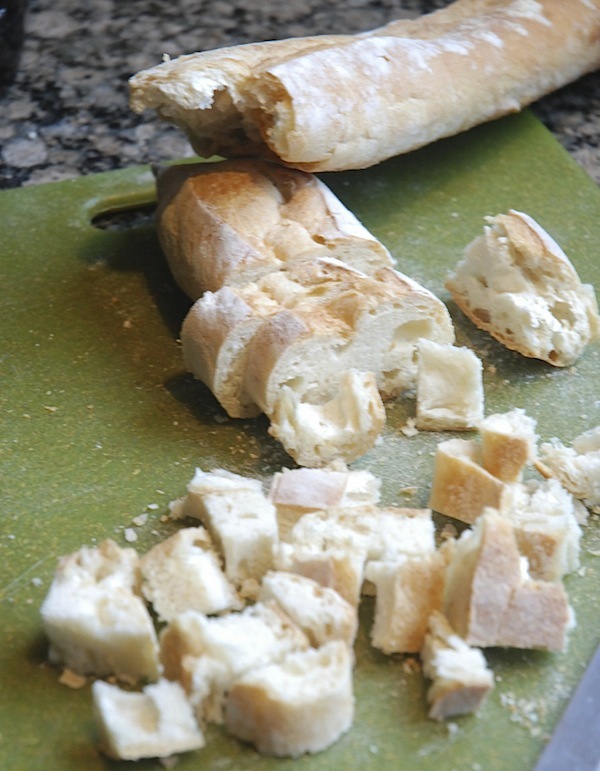 Here’s a note to the wise…always keep a baguette ready in your freezer… it is perfect for making crostini or not coincidentally for this recipe! 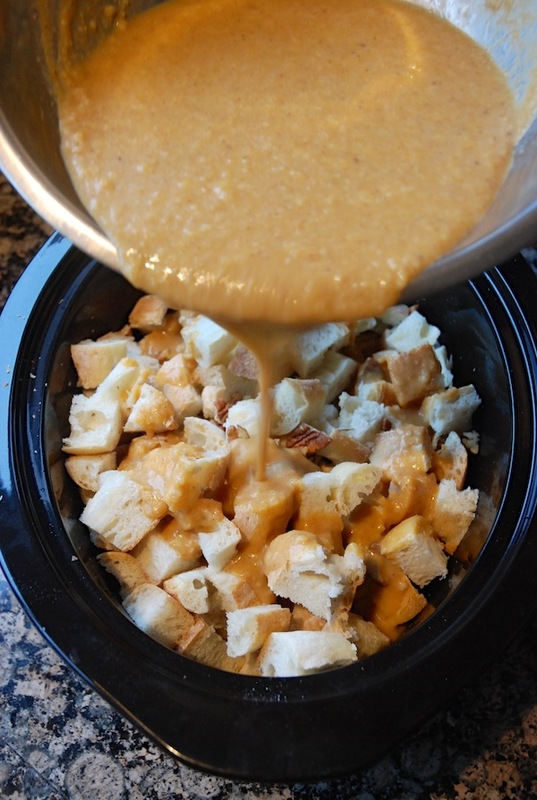 You need day old bread anyways…so don’t throw your leftovers away… Cube the bread and throw into a greased slow cooker along with toasted and chopped pecans and cinnamon chips. Whisk together a mixture of pumpkin (not pie filling, but rather the pure pumpkin), eggs, half-and-half, brown sugar, melted butter and a flavourful spice mix: cinnamon, cloves, ginger and nutmeg. Pour over the cubed bread. Cook on low for 3-4 hours. Just a note: The one ingredient that threw me for a loop was the cinnamon chips…is it an american thing? I haven’t seen them in stores. No fear, this recipe for homemade cinnamon chips was super easy. Cinnamon, vegetable shortening, sugar, vanilla and honey (i swapped the corn syrup and used honey instead) made these sweet little tidbits! 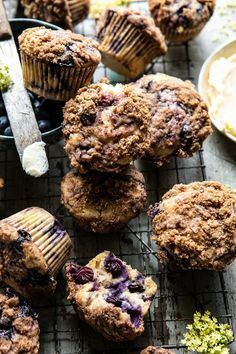 It takes but minutes to create a batch..and you can store the leftovers for weeks and use them as you do other baking chips. Finish with vanilla ice cream, warmed caramel sauce (these ones are my favourite) and some additional chopped cinnamon bits. So good! And so comforting on a blustery fall evening. Cut slices of day old bread into cubes. I had some leftover french baguette in my freezer that i used. Cut enough bread for 8 cups. Put the cubed bread into a greased Crock Pot (3.5 - 4 quart size) along with cinnamon chips and chopped pecans. Whisk together eggs, pumpkin, half-n-half, brown sugar, melted butter, vanilla, cinnamon, nutmeg, ginger and cloves. Pour over the cubed bread and gently stir to coat. 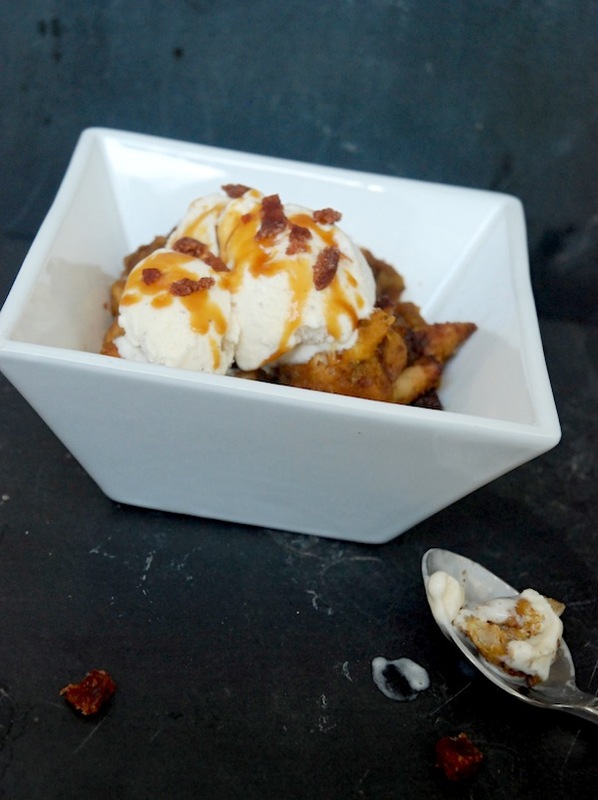 Serve warm and topped with vanilla ice cream and caramel sauce.